As the situation in the World is increasingly more tense, the same is happening in the Western Balkans. The US is actively working to raise tensions in the region, due to the weakening of their power. For the Federation of Bosnia and Herzegovina (Bosniaks and Croats), the defeat of Hillary Clinton in the elections is equal to the defeat on the battlefield. The Clinton and Obama administrations were the main sponsors of the policy of the destruction of Republika Srpska. Another major problem for the Federation of Bosnia and Herzegovina is a weakened Erdogan, this is primarily related to Bosniaks. Erdogan gave them strong support for a unitary Bosnia and Herzegovina, despite the fact that Republika Srpska strongly oppose that. With a weakened Erdogan, Bosniak policy has lost strong support. The Republika Srpska with each passing day has a better chance for independence. A referendum for independence in 2018 is widely speculated to happen. For Bosniaks that is unacceptable, and until recently backed by the Obama administration, they threatened a war with Bosnian Serbs. However, as the victory of Donald Trump has taken place in Washington, the rhetoric has lessened. There is no doubt that Bosnia and Herzegovina have entered a phase, which will lead to significant changes. It became clear that the main ally of Republika Srpska is Russia and not Serbia. With Russia as its main ally, Republika Srpska has a realistic chance to organize a referendum for independence. And if the Serbian Prime Minister Aleksandar Vucic led a treacherous policy towards Kosovo, with the strengthening of Russian influence in Serbia, he had to lessen the conduct of that policy. The main problem for the Kosovo Albanians, like for Bosniaks, is Trump`s arrival to the White House. The US created the narco-state of Kosovo, and without the support of Washington, they cannot survive. Perhaps that is best illustrated by the recent statement of Kosovo's President Hashim Thaci. He said that Kosovo and Russia should establish direct relationships. ''All prejudices must disappear. Kosovo in its history never hurt Russia. So Kosovo did not deserve unfair treatment or punishment'' said Thaci in Turkey during the visit to Erdogan. This humble statement of the Kosovo president shows the geopolitical changes in the Balkans. Kosovo is a state which has erected a monument to Bill Clinton, and Hillary for them is a national hero. Accordingly, they have had an anti-Russian policy. But times are changing. The new Montenegrin Government does not hide the fact that there are financial problems, due to large debt. However, their official goal is to join to NATO, without of referendum. That is due to the fact that the majority of the population is against NATO. Atlanticists in Montenegro experienced another humiliating set-back. A delegation of the US Congress, which was announced as highly significant, led by Senator John McCain, who planned to visit Montenegro, received a request to change plans and return to the US due to pressing international issues. In Montenegro, on March 12th, are important elections for the municipality of Niksic, the second largest city in Montenegro. If the Democratic Party of Socialists loses in Niksic, early elections will be a reality by the end of the year. Significant support for the current anti-Serbian and anti-Russian regime in Podgorica comes from Serbia. Unfortunately, the Montenegrin intelligence service is very strong in Serbia. This is one of the reasons for the long-standing rule of the DPS and Djukanovic. And this is the issue that Russia should involve itself in. Russia should use its power to neutralize or weaken the effect of the Montenegrin secret service in Serbia. That would be a major help for Montenegrin Serbs. 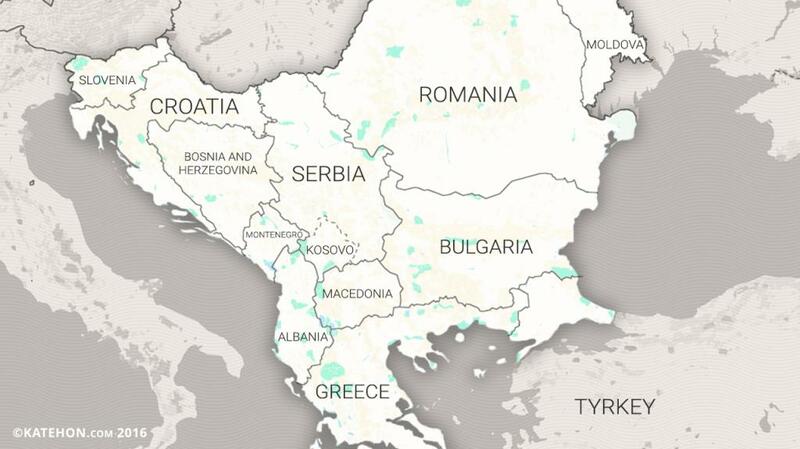 Real tensions and a cold war in the Western Balkan are between Serbia and Croatia. Croatia leads an aggressive policy towards Serbia and Serbs in the region. Unfortunately, the Government of Aleksandar Vucic does not provide an adequate response to this. For connoisseurs of developments in the Balkans, this is not surprising, given that Vucic is a man who is controlled by the Western intelligence service. However, Vucic’s treacherous policy began to weaken. The best evidence for that is the Serbian Army. After many years, the Serbian army will significantly increase its power. After the color revolution in 2000, the destruction of the Serbian Army began, which has continued during Vucic’s rule. The best example for that is the fighting capacity of the Serbian Air Force. Serbia now has a small number of active combat aircrafts and can count on three Mig 29's, three Mig 21's, four Soko J 22 Yugoslav twin-engine aircrafts, and eight Soko G's, 4 Yugoslav jet trainers and light ground attack aircrafts. From all the combat planes in the Serbian Air Force, the most advanced jets are the Mig 29. Funding for the Mig 29 fighter jets will expire in the 2017-2018 fiscal year, which means that the Serbian air force, which is already on its knees, could be eliminated. What would this would mean, perhaps is best illustrated by the fact that the Serbian Air Force was founded on December 24th, 1912. That made Serbia one of the first 15 states in the world to have an air force. And Serbia is among the top five states that have used its air force in combat. All such great traditions did not mean a lot to Serbian Prime Minister Aleksandar Vucic. But, thanks to Russia, the Serbian Air Force will have its survival and efficiency provided for until 2030. This is extremely important, not just because of history, but because of the complex geopolitical situation in the Balkans. It was this complex situation in the Balkans that compelled Russia to react. Serbia, together with Republika Srpska, is the main ally of Russia in Southeast Europe. In accordance with this fact, and with Serbian consent, Russia acted. Thanks to Russian pressure, Vucic could not sabotage this agreement, as he did before. During a visit to Moscow on December 21st, the Serbian delegation made an agreement with Russia on the supply of weapons. Russia will bequeath to Serbia 6 Mig-29 fighter jets, 30 tanks, of newer versions of the T-72 S, and BRDM-2 reconnaissance vehicles. In addition, Russia is to deliver to Serbia the medium-range missile system BUK–M2 and the “Tunguska” tactical air defense system ( used to protect artillery units, mechanized units), by 2018. The price for air defense system will be around 500 million Euros. The arrival of Russian weaponry represents, in the best way, the changes that have begun in the Balkans. Since 2000, the US has not permitted Serbia to buy or receive serious weapons. This primarily referred to fighter jets and anti–air defense. At the moment, Serbia is the militarily strongest state in the Western Balkan. With the new weapons from Russia, Serbia will strengthen its position. But Croatia has announced a military reinforcement policy. That is primarily related to fighter jets. This year Croatia received 16 OH-58D “Kiowa Warrior” US reconnaissance fighter helicopters. The market price of the helicopters is 220 million dollars, but Croatia will only pay 28.2 million dollars. The decision on the fate of combat aviation will take place at the end of 2017. Croats had hoped that the US will donate F-16 fighter jets to them, but Washington refused. Now there are speculations that if Croatia decides to purchase a squadron of fighter jets, that these would be the Swedish Gripen JAS 39 C/D. In the game is still the South Korean training fighter jet, the FA 50. If Croatia decides to buy the Swedish Gripen, which is a realistic option, that would cost her 1.2 billion dollars. That would be a big burden for Croatia, which is already has a very large national debt. However, even if Croatia buys the Gripen fighters, Serbia will have a stronger army than Croatia. Changes in the Balkan are speeding up every day. The region, which until recently was under total US control, now is showing the first signs of freedom. With the coming to power of Donald Trump to the White House, it is realistic to expect a continued of US withdrawal from the Balkans.